We’ve all had moments of dreaming about where our lives could take us. For some, those dreams turn into reality. That sentiment rings true for Markham, Ont. native and former Ontario Blue Jay Jordan Romano. The 25-year-old RHP was selected by the Blue Jays in the 10th round of the 2014 draft. “It’s a major accomplishment to be drafted by the team I grew up watching. It was kind of extra special because my whole family are Jays fans,” Romano says. Romano is ranked 28th in the 2018 Top 30 Blue Jays prospects list. He was promoted from the double-A New Hampshire Fisher Cats to make his triple-A debut with the Buffalo Bisons this spring, finishing his first game start with a win. Romano’s improving stats and ability to overcome Tommy John surgery, an early obstacle to his career, made him a convincing candidate for the 2018 Canadian Baseball Network’s minor league pitcher of the year award. But it’s his 11-8 record in double-A New Hampshire, and being the pitcher with the most wins and strikeouts in Canadian minor league pitching standings, that solidified Romano the win. “We have so many great Canadian pitchers around the minors right now, so to be recognized as the best one is a pretty special feeling. Getting a Canadian award is high regard,” Romano says. Sean Travers is the director of player development with the Ontario Blue Jays and coached Romano when he was with the team. “When he was here, he kind of played baseball for fun – he wanted to catch, he wanted to pitch, he wanted to do everything – and since becoming a pro, he understands what he has to do to get to the next level,” Travers says. Travers not only focused on athleticism, but zeroed in on Romano’s confidence, changed mindset and professional attitude that makes Romano stand out. “He’s committed to putting in that work, whether it’s in the gym or in his bullpens, and he’s also a player that when you talk to him now, it’s like talking to a completely different person because he’s so mentally locked in,” Travers says. Romano has given fans a glimpse into what he can bring to the table. He was a jack-of-all-trades with the Ontario Blue Jays, and continues to impress at the minor league level with a 4.11 ERA. “I was just kind of like my own pitcher growing up. I definitely liked watching Roy Halladay and Ricky Romero, some of the Jays pitchers that were the stars,” Romano says. 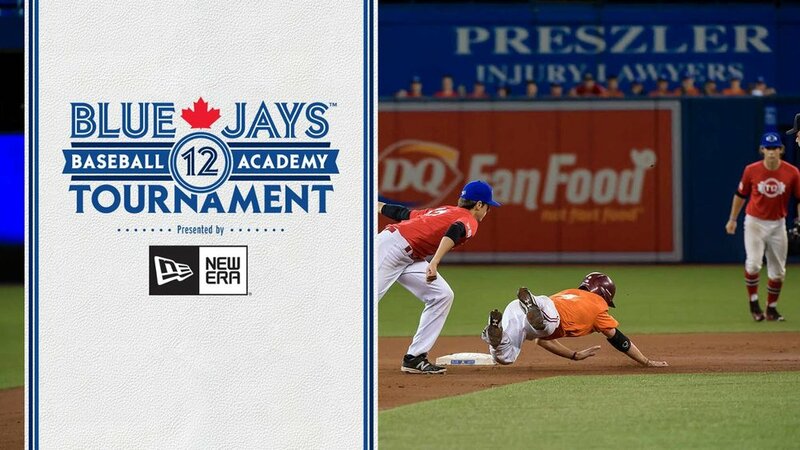 The Toronto Blue Jays are Canada’s team, and they rake in hundreds of thousands of viewers regularly and their fans are some of the most loyal and well traveled in all of Major League Baseball. But if you take the Blue Jays out of the picture and you start from the bottom, what’s left? You enrol your child in T-ball as a means to learn social interaction, gain some friends and most importantly, to have some fun. Possibly, your child will grow up to learn the game, love the game, and maybe even have enough talent to actually be drafted or even make it to the show. 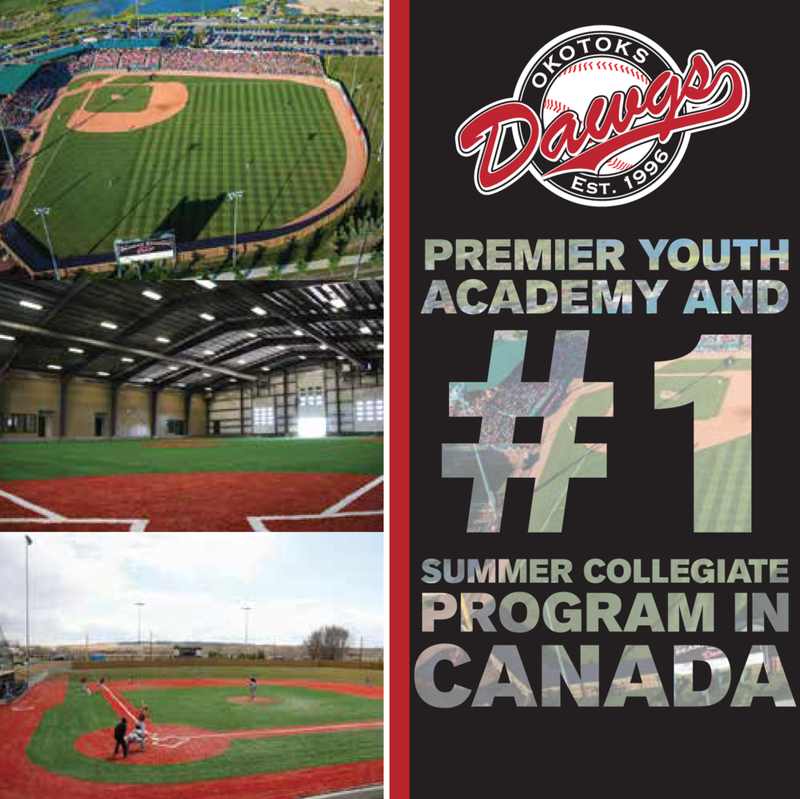 There are university and college scouts, scholarships, and even offers to play for both Canadian and American schools. But realistically, where do you choose to devote your time to have the best chance at turning your dream of playing in the big leagues into reality? “If you’re going to a Canadian school, you’re not going to get the same exposure as if you’re going to an American school. That’s the reason I chose to go to Connors State and then Oral Roberts University. You’re playing better competition, and scouts are coming to those games, so I went down there to kind of get seen a little better,” Romano says. American college sports programs bring a sense of togetherness and a chance to do the unthinkable. Whether you’re in the marching band, on the team, or in the jam-packed stands, you’re a part of tradition and school spirit. You’re a part of that school’s family, even after graduation, and it’s a passion that most pass down through the bloodlines. Whether it’s West Virginia collaboratively singing along to “Take Me Home, Country Roads,” Notre Dame and the infamous leprechaun, or Michigan’s Jim Harbaugh and his trademark khakis, there’s a story, tradition and sense of pride for everyone. You’re a part of something different and you’re given the chance to make an impact. Student-athletes are given the opportunity to learn and be the bright-eyed academic, but there’s an opportunity for the dreamer to take a chance at what seems impossible. Every game is like the home opener. “I’d love to go to a local school, play baseball, and have my parents, family and friends come watch. It’s definitely something that would be great for Canadian baseball players, so I hope to see that in the future,” Romano says. We all remember when Joey Votto, Cincinnati Reds first baseman and resident fan favourite of Canadian and American fans alike said, “I don’t care almost at all about Canadian baseball,” the words that struck a collective Canadian chord, with harmonious sad violins heard throughout the nation. This was in response to James Paxton, Canadian pitcher for the New York Yankees, throwing a no-hitter against the Blue Jays in Toronto. I’ll be honest, as a Canadian, Votto’s words were difficult to come to terms with and I specifically recall offsetting them by suggesting that Votto might have a bit of a “sour grapes” mentality. “Everyone’s entitled to their own opinion, you know? But for me, growing up and playing in Canada, that’s kind of what sparked my passion for the game,” Romano says. Canadian schools are influential and some of the best in terms of academics, but they have the blueprint to be something greater and offer the full spectrum of student and athlete experience. “It’s important for us guys, especially with a lot of experience, to kind of help out, help the younger players, and help Baseball Canada grow,” Romano says. Romano’s future is optimistic, and with other notable players and teammates, they have the ability to mould young Canadian players and make them passionate and excited for the future of the Blue Jays. “I mean the future is definitely pretty bright. You know, even the group of guys I played with like you said, Guerrero, Bichette, Biggio, there’s a good young core coming up. These players are as advertised: they’re the kind of guys that can be superstars at the next level,” Romano says. Players make an impact on the field, but it's what makes someone relatable and for readers to get a glimpse into who they are off the field. “I’m a baseball player, I play baseball, but it’s not who I am. I hang out with my friends, I play a lot of video games – a lot of Fortnite, a lot of NHL – I’m just a regular 25-year-old guy that happens to be a baseball player,” Romano says. Canadian born and raised and drafted by Canada’s team? Dreams really do come true.